Brian Shifman, Nancy Oomen, and James Pasternak. All images courtesy of the respective candidates. 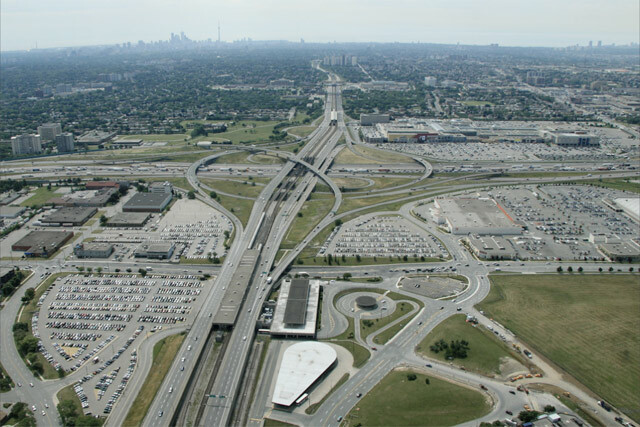 Ward 10 sits on the northern boundary of the city, extending north from the 401 Expressway to Steeles Avenue. It is bounded to the west by the Allen Road and to the east by Bathurst Street. The ward is home to a mix of residential, commercial, and industrial spaces, which are not always easy neighbours. New development projects have become hot issues for the ward as residents and developers try to find common ground. Traffic is also an issue, on both busy arterials and quiet, neighbourhood streets. 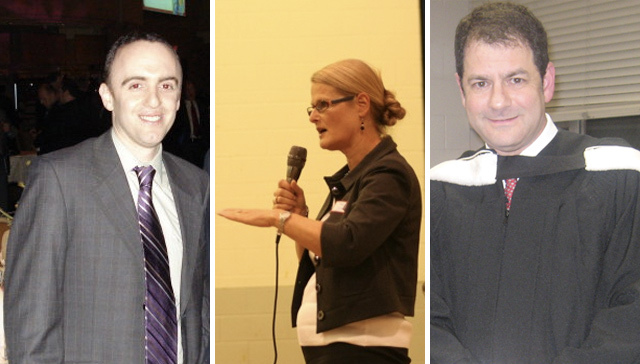 A total of twelve candidates are running to replace outgoing councillor Mike Feldman; here we focus on the three main contenders: Brian Shifman, Nancy Oomen, and James Pasternak. Even though they have remarkably similar positions on some issues, a closer look at the concerns each highlights, and who has endorsed which candidate, offer some direction as to which of them best represents your views. Do you live in Ward 10? See our Ward 10 page for an interactive ward map, photos, and more. Brian Shifman is a public relations graduate who has ten years of “progressive management experience” in local profit and non-profit organizations. He has spent the last six years heading up Smart Commute—North Toronto Vaughan (NTV), which provides transit solutions such as carpool matching to downtown commuters. Shifman speaks broadly about the need to “get city spending under control” and make City Hall more accessible. He aims to publicize his work as a councillor if elected, and let residents know what kinds of changes might be in store for the ward. Shifman opposes the removal of these ramps, arguing that this would divert too much traffic through residential neighbourhoods and development-heavy areas of Sheppard. He thinks this is the top issue for the ward. Shifman supports this rezoning, while recognizing that the community has reasonable concerns such as noise, building height, traffic and pollution. His main goal is to avoid the Ontario Municipal Board and work with both sides to come up with a solution. While endorsements aren’t a direct gauge of a candidate’s views, they can be helpful in placing a candidate on the political landscape, and perhaps indicate who they may be turning to for advice and guidance. Among Shifman’s endorsers are MPP Kathleen Wynne (Don Valley West, Liberal); former MPP Dan Newman (Scarborough Centre, PC; also a cabinet member under Mike Harris and Ernie Eves); David Zimmer (MPP for Willowdale, Liberal); Elizabeth May (leader of the Green Party of Canada); and Shelley Carroll (Ward 33, Don Valley East; also Toronto’s budget chief). In speaking with Shifman, he highlighted safety as an additional issue in the ward. An increase in enforcement and police presence would help to stem crime in the ward, he argues. Shifman also hopes to eliminate the personal vehicle tax. While it’s not a lot of money for people to save ($60), he thinks it is unfair that those who commute into Toronto do not pay the tax while local seniors (and others who don’t use the roads as often) have to pay. Shifman will work with whoever is elected. He hopes that the new mayor will recognize the needs of Toronto north of Eglinton, and thinks this area of the city has lost influence since Mel Lastman was in office. Ramps running from the Allen Road onto Wilson Heights. Photo by Tom Podolec from the Torontoist Flickr Pool. Nancy Oomen spent the last ten years as the senior executive assistant for outgoing Ward 10 councillor Mike Feldman. While she is originally from Holland, she has lived in Toronto for the past thirty years. Before working with Feldman she spent six years as a North York councillor’s assistant. She is against the removal of the ramps because of traffic concerns and community opposition, and would draft a motion to ensure that the ramps remain. Oomen would like to see more transit to “get people out of their cars.” Her priority is a link to the airport, either by subway or rail. She also recommends more traffic enforcement, and cites local frustration with those who run stop signs and don’t obey traffic signals. “We need to get more people to pay attention to the rules,” she says, adding that this includes drivers, pedestrians, and cyclists. Oomen wants to sit down with the community and come up with a workable solution (no “white metal cladding” on new buildings) without stopping the re-zoning. To this end, she plans to form a residents’ association to come up with the best possible proposal. While endorsements aren’t a direct gauge of a candidate’s views, they can be helpful in placing a candidate on the political landscape, and perhaps indicate who they may be turning to for advice and guidance. Among Oomen’s endorsers are Councillor Mike Feldman (Ward 10, York Centre); Mel Lastman (former mayor, City of Toronto); Councillor Michael Thompson (Ward 37, Scarborough Centre); Councillor Case Ootes (Ward 29, Toronto-Danforth); and Councillor Denzil Minnan-Wong (Ward 34, Don Valley East). Oomen would prioritize the mobility of the ward’s large seniors population, including better clearing of sidewalks and bus stops in the winter. Oomen “would like to be able to work with whoever gets in.” She was leaning toward Rocco Rossi, but since his candidacy has ended is unsure about who she might support. Development and intensification, such as along the Sheppard corridor, is one of the biggest issues in Ward 10. 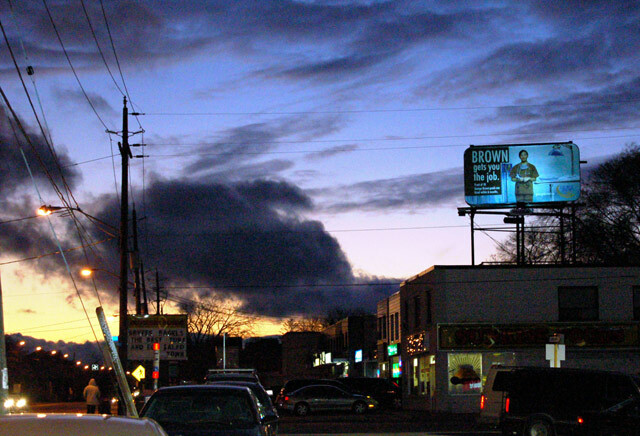 Photo by Torontovore from the Torontoist Flickr Pool. James Pasternak has been a Toronto District School Board (TDSB) trustee since 2006. He feels he has accomplished a lot in his three-and-a-half years, including supporting school repairs, after-school programs, and the Bathurst-Finch community hub. Toronto residents are “suffering from tax fatigue,” says Pasternak, who wants to protect seniors on fixed incomes from increases in taxes, utility costs, and user fees. He thinks City Hall has a “spending problem,” but would also draw more revenue from the province to help foot the bill for improvements to city infrastructure. Pasternak opposes the removal of the ramps, which he says would create a “total bottleneck” along Wilson Heights. Pasternak thinks this plaza has fallen into disrepair, but that the current development proposal is “totally inappropriate for the neighbourhood.” He does not support the current plan and wants to go back to the developer to come up with something more sustainable. He takes issue with the high residential density that is planned, arguing that there would not be enough retail space or spots in local schools to support the increase in population. Pasternak is looking forward to the extended Spadina subway line as planned for 2015. He has proposed that there be a designated envelope of annual spending to dig and build new transit infrastructure. He would ask the province to pay for half of any new transit development, and use this designated funding to continuously upgrade Toronto’s transit system and bring it up to date. Pasternak opposes the LRT in Ward 10, as this would chop up traffic along Sheppard or Finch and would be hard to have come in on budget. Pasternak is worried about the noise, traffic congestion, and environmental impact of re-zoning this land, and wants an environmental impact assessment done of the project. He would install noise reduction fencing and require beautification before approving any development plans. While endorsements aren’t a direct gauge of a candidate’s views, they can be helpful in placing a candidate on the political landscape, and perhaps indicate who they may be turning to for advice and guidance. Among Paskernak’s endorsers are MPP Peter Shurman (Thornhill, PC); and Gerry Connelly, (former director, TDSB). Pasternak thinks Ward 10 “has fallen behind in recent years” and wants to bring more resources into the ward. He cites the Centennial Library, tennis courts and hockey arenas as examples of local facilities that need improvement. He also wants to reconnect Council with the TDSB to provide more resources for the community, including keeping school pools open. Pasternak will work with whoever is elected.